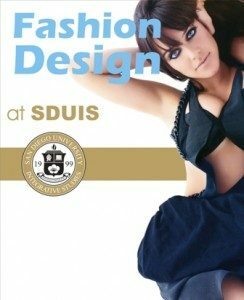 San Diego University for Integrative Studies offers a non-degree certificate program in Fashion Design. This program will introduce students to entry level and advanced principles of fashion design. Participants will learn both the creative and technical sides of the fashion industry, as well as gain hands-on experience. Classes are offered on a rotating schedule that allows participants to complete the certificate in just one year, This course curriculum is designed to help students qualify for employment as assistant designers, fashion illustrators, assistant pattern-makers, and product developers. Design training can lead to entrepreneurship, or careers working for large or small companies. Each participant in the Fashion Design Certificate program must successfully complete seven (7) courses on the components of effective leadership for a total of 40 units.